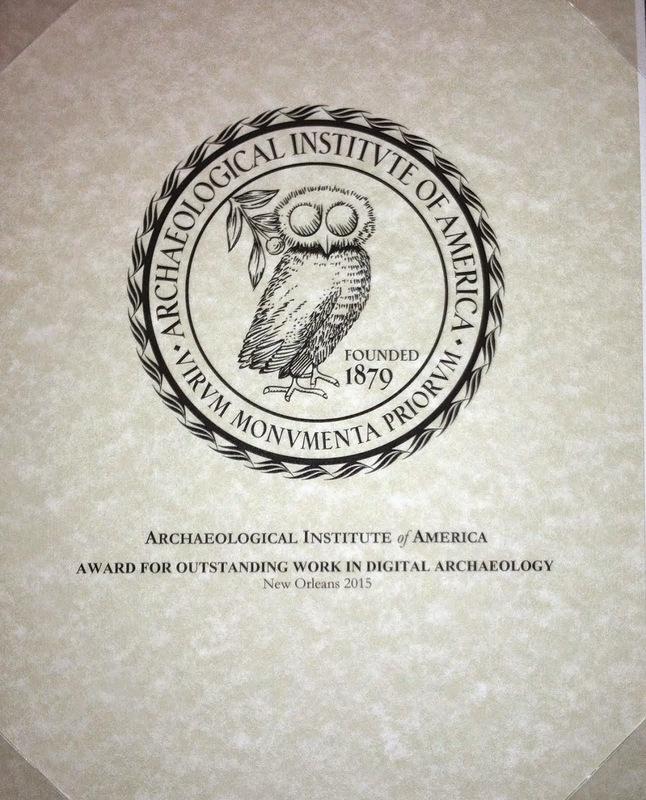 Publications from the Chicago Field Museum's Fieldiana Anthropology series, digitized with permission of the Museum. The collection is a subset of the University of Illinois Digitized Books Collection. Mackay, Ernest John Henry, 1880-1943. Langdon, Stephen, 1876-1937, contributor, Professor of Assyriology, Jesus College, Oxford. The dissertation of Grace White entitled The Religious Iconography of Cappadocian Glyptic in the Assyrian Colony Period and its Significance in the Hittite New Kingdom is now available online through the Dissertations page of the Research Archives. The study was completed in December 1993 for the Department of Near Eastern Languages and Civilizations at the University of Chicago. The purpose of White's study "is to analyze the themes and motifs on native Anatolian seal impressions representative of the Cappadocian glyptic of the Assyrian Colony period. The analysis is made from many points of view and on many levels. The local glyptic is studied in the context of other glyptic styles, such as Old Babylonian, Old Assyrian, Middle Assyrian, and Mitannian. A precise identification of objects utilized on the local Anatolian glyptic is attempted, using textual evidence and giving archaeological parallels for pottery types, etc." The Trendall Research Centre databases are intended for anyone interested in researching the art of the ancient world. The contents of the databases are subject to copyright. In many cases the Trendall Research Centre does not hold the copyright on images and other content. You must not reproduce these without permission from the copyright owners (often the museums in which objects are held). Images are protected by watermarks. For further information including commercial requests please contact m.kosten@latrobe.edu.au. We regret that we are not normally able to grant permission to publish or reproduce images on the databases. You may continue to search the Trendall Research Centre databases without logging in or if you want to preserve your Photograph Album for future sessions you may register and login to your account. The Canadian Centre for Epigraphic Documents (CCED) was founded in order to archive, catalogue, and digitize epigraphic materials. The digitized images are to be placed online, allowing scholars easy access to these documents. The Canadian Centre for Epigraphic Documents (CCED) is a non-profit organization staffed entirely by volunteer information professionals and graduate students in Information Studies. Our goal is to become a repository for world inscriptions. The CCED would be pleased to consider accepting additional collections to add to our online library. Those wishing to donate/make available an epigraphic collection to the Canadian Centre for Epigraphic Documents should contact the CCED before submitting any material. Many epigraphic texts are in danger of being lost through environment, negligence, or willful destruction. The CCED regularly works with collections that contain only extant copies of deteriorated or now missing inscriptions. To enable us to continue our work conserving and placing rare and endangered documents online, please consider donating to the CCED. Help us to protect our world heritage in texts. The Harrak Collection of Iraqi Syriac and Garshuni inscriptions is the largest collection of its type in the world. These inscriptions date from the 7th – 20th century A.D. The collection comprises of analog and digital photographs taken between the 1930’s to 2010. The SEERI Collection of Syriac, Malayalam, and Pahlavi inscriptions consists of epigraphic texts from Kerala, India. These inscriptions date from c. 9th/10th - 20th century A.D. The Marginalia Review of Books aims to host conversations about serious books and important ideas. Taking advantage of the opportunities supplied by new media, we are providing space for constructive debates on the questions that shape how we understand the world. Adele Reinhartz’s essay in MRB on June 24 set off a vibrant discussion in the comments section and in the MRB editors’ inboxes. The range of responses to the piece dotted the spectrum from full support to indignation, proving that a sizable readership wanted to debate these ideas further. The forum is released today only two months after the Reinhartz essay thanks to the good will and the efficiency of the participants. The essays, beginning with Reinhartz’s original piece and concluding with her response to the collection, investigate the political and historiographical considerations involved in the translation of ancient texts, in particular how modern translators and historians ought to deal with the translation of the Greek word ioudaios (Ἰουδαῖος). I am alarmed by the growing invisibility of Jews and Judaism in English translations of ancient texts and scholarship about them. The use of “Judeans” to translate all occurrences of ioudaioi achieves neither the scholarly precision nor the ethical high ground that scholars claim. On the contrary, the proliferation of Judeans inadvertently creates confusion and misunderstanding and merely sidesteps the issue without addressing the anti-Jewish or even anti-Semitic potential of texts such as the Gospel of John. All humanities disciplines invite us to explore the possibilities of human existence, but history opens the door to conditions that have really existed before our time. No one should be naïve enough, however, to think that we can simply enter the distant past as it really was, for it does not exist now. The vehicle that takes us there we construct today. We pose our questions about the past and gather any surviving evidence that seems relevant. The problem of translating with sensitivity to ancient contexts is basic to the research and teaching of all ancient historians. The question whether we should use “Jew” or “Judean” when writing about antiquity should, I assume, be approached no differently than other questions concerning the use of our modern English vocabulary for ancient phenomena. Just as we normally look at the evidence concerning antiquity and, when turning to describing what we see, strive to choose the English words that best correspond to what we see, so too in this case. To say, as Malina does, that a “Jew” is an anachronistic category in the first century erects a wall between modernity and antiquity. I do not want to sever Jesus from the designation “Jew” and insist on it being relevant only to a later time, because that might sever him from a Judaism today that embraces diversity within its past. To say that Jesus was a Jew is not to say that he was a Jew as the rabbis would define that term but a Jew as one might define him in the first century. If a word — or some use of that word — is lacking in ancient sources before a certain date, we should be cautious both about assuming and about denying that it existed in earlier times. Moreover, we should beware of assuming that if a word or use of a word is not found in ancient authors, then those authors did not have the concept denoted by that word. Is it really the case that the translation “Jew” has done great harm? If I am not mistaken, the question about “Jew” and “Judean” is, as it is taking place here, primarily an English-language question. Far be it from me to deny the influence of anti-Semitism in the English-speaking world. But let’s be frank: on the whole, Jews have been and continue to be rather safe wherever the English language is spoken, even though all the Bibles talk about Jews. It is not sufficient to say that subsequent Christian interpreters of the Gospel of John mistakenly identified the narrative’s “Jews” with real flesh-and-blood Jews living among them — with disastrously violent consequences — and that they misinterpreted John’s sense. It is also not enough to claim, on that basis, that the imperative facing us now is to “restore” the correct meaning (the entho-geographic one) to the text, translating hoi Ioudaioi as “the Judeans.” This avoids the fact that texts do carry within them the potential to become loosed from their authorial moorings and to reach beyond the particularities of their original reception. The ioudaios debate is an especially good example of the impossibility of escaping ideology, no matter how disinterested a given scholar might be and no matter how unware a scholar might be. We have seen how easy it is to detect what we might crudely label “pro-Israel” and “anti-Israel” stances, ethical concerns about anti-Semitism, and a marginalizing of Palestinian concerns. Of course, there are genuine concerns about the pervasiveness of ideology for academic research. But we can perhaps calm some of these fears. While not all participants in the Forum explicitly address anti-Semitism or its seemingly more benign variant, anti-Judaism, I believe that all recognize that the ioudaios question does have implications for this sensitive issue. As some of the responses note, the question of translation may matter less when readers have ready access to commentaries and more in the case, for example, of New Testaments that are used liturgically and therefore, in most cases, without commentary. Fondata da Enzo Degani nel 1990, la rivista «Eikasmós. Quaderni Bolognesi di Filologia Classica» si è sempre caratterizzata per una vocazione squisitamente critico-testuale ed esegetica (la prima sezione di ogni numero è per l'appunto di «Esegesi e critica testuale»), per una rigorosa attenzione alla storia della filologia classica (cui è consacrata la seconda sezione di ogni volume) e per un costante impegno di aggiornamento e valutazione degli studi del settore (alle recensioni e alle segnalazioni bibliografiche sono riservate le ultime due sezioni della rivista). Founded by Enzo Degani in 1990, the review «Eikasmós. Quaderni Bolognesi di Filologia Classica» is devoted to textual criticism and exegesis (the first section of each issue is dedicated to «Esegesi e critica testuale»), to the history of classical scholarship (the second section of each volume), and to a systematic and up-to-date survey of scholarly works in the fields of classical studies (the two last sections of each issue include reviews and a bibliographical supplement). From this page it is possible to enter the data bank «Eikasmós», yearly updated with the complete tables of contents of the review, an abstract and the full text (as a searchable pdf file) of all the articles and reviews (except those published in the last two issues). It offers several ways of searching and consulting all these data. New Book from the Oriental Institute: Mesopotamian Pottery: A Guide to the Babylonian Tradition in the Second Millennium B.C. Mesopotamian Pottery: A Guide to the Babylonian Tradition in the Second Millennium B.C. As a result of the long-term cooperation between archaeologists from the University of Ghent and the Oriental Institute of the University of Chicago and with the collaboration of other excavators in southern Iraq and surrounding regions, James A. Armstrong and Hermann Gasche have produced a guide to the Babylonian pottery of the second millennium B.C. The focus is on more recent excavations, where the pottery has been stratigraphically excavated and well recorded. The vessels are presented in groups based on shape. On the plates the groups are laid out both chronologically and geographically, so that developments over time and regional distinctions are readily apparent. Maps show where each group is attested. Synoptic tables permit the reader to find groups quickly. There are detailed discussions of the forms and their geographical distribution, as well as a treatment of the historical implications of the evidence. In addition, ceramic specialists Abraham Van As and Loe Jacobs present their comprehensive study “The Babylonian Potter: Environment, Clay and Techniques,” and cuneiformist Steven W. Cole reviews recent chronological debates. Melvyn Bragg explores comedy in Ancient Greek theatre including Aristophanes and Menander. Melvyn Bragg examines how a dominant power can exert a cultural influence on its empire. Melvyn Bragg and guests discuss the Cynics, the performance artists of philosophy. Melvyn Bragg considers whether 'happiness' means living a life of pleasure or of virtue. Melvyn Bragg explores what defines a hero, and their place in classical society. Melvyn Bragg examines the history of the longest and most detailed number in nature. Melvyn Bragg examines prime numbers and their mysterious role in the universe of numbers. Melvyn Bragg and guests discuss relativism; a philosophy with no absolute truths. Melvyn Bragg and guests discusses rhetoric; supported by Aristotle but reviled by Plato. Melvyn Bragg and guests discuss the Ancient Greek city-state of Sparta. Melvyn Bragg and guests discuss the Amazons, formidable female warriors of classical myth. Melvyn Bragg explores the history and changing the status of the artist. Melvyn Bragg investigates how our preoccupations about how to live have altered over time. Melvyn Bragg and guests discuss the Greek myths from Achilles to Zeus. Melvyn Bragg and his guests discuss the Hippocratic Oath. Melvyn Bragg and guests explore the importance of the oath in the Classical World. Melvyn Bragg and guests discuss the monster filled epic, Homer’s Odyssey. Melvyn Bragg examines the ‘Oresteia’, the seminal trilogy of tragedies by Aeschylus. Melvyn Bragg explores the meaning and purpose of the philosophical concept of virtue. Melvyn Bragg and his guests discuss the ancient Greek historian and soldier Xenophon. t3.wy Foundation for Historical Research in Egyptology: "Excavating in Archives"
Somewhere in the mid-19th century, the word “Egyptology” was coined: The name connotes the scientific study of ancient Egyptian history, language, literature, religion, architecture and art from the 5th millennium BC until the end of the 4th century AD. Some 165 years later, Egyptology has become part of history, and now there is a movement afoot to investigate and study its evolution. The t3.wy Project has been a frontrunner in this field: In June 2009, with the aid of a small staff, Marcel and Monica Maessen set up a website to draw attention to the subject of Egyptian dig houses. These houses, scattered all over Egypt, are where the first Egyptologists spent their professional as well as their private lives while excavating in Egypt. These houses were usually built close to their work, and therefore their histories contain much information about the excavations and also about the people who lived there. Travellers and scientists began to visit Egypt many centuries ago, and when they left, a lot of information left the country with them. We are not only talking about the obvious objects leaving the country to wind up in museums, universities and private collections all over the world, but also about photographic evidence and correspondence. Unfortunately, many of these valuable pieces of information were never documented, studied or published. In fact, thousands of letters and photographic evidence are stored in museum archives, while hundreds of thousands object languish in storehouses, some still in the original box or crate they arrived in. Lack of interest, funds and/or manpower has prevented specialists from giving the objects the attention they deserved. Research associated with the history of Egyptology can be useful in helping track down the original location of unplaced objects and bring them to light. Besides that, Research associated with history of Egyptology can also shed lights on other aspects, such as: The Egyptologist’s social life; Context between Ancient artefacts, which has been overlooked until now, the way of constructing houses in Egypt and the influence foreigners had on this, etc. Investigating and publishing correspondence from Egyptologists from the mid-19th to the mid-20th century, ECP (Egyptologist Correspondence Project). In due time – and this part of the project would rely heavily on funding – the Foundation would like to set up the jewel in its crown: AIPP, the Antiquities Inventory and Publication Project, in which we would like to bring together all those “forgotten” objects, at one time brought from Egypt and “dropped” al over the world in Museums and bring them together in one central database for scholars to be studied. Since this would require efforts beyond the – current – capabilities of the Foundation, we will not start with this project immediately, but gradually start working on it. Call for Collaboration: Are you an Ancient Geek? Our eLearning team in the Digital Humanities department at the University of Leipzig (Germany) wishes to learn more about which methods of teaching Ancient Greek are most effective and engaging for learners. For this reason we have put together a TEST and short survey that we would love you to take in order to help us in our research. The test will be a lot easier to take if you are familiar with Ancient Greek grammar! You may answer as many or as few questions you like and at any point in the test you can skip to the end survey. Thank you ever so much for your time and help! 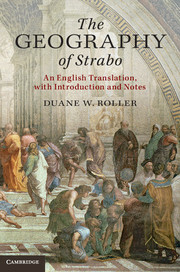 Online Map Supplement to Duane Roller’s new English translation of Strabo’s Geography. We’re delighted to announce that the Getty Research Institute has released the Getty Thesaurus of Geographic Names (TGN)® as Linked Open Data. This represents an important step in the Getty’s ongoing work to make our knowledge resources freely available to all. Following the release of the Art & Architecture Thesaurus (AAT)® in February, TGN is now the second of the four Getty vocabularies to be made entirely free to download, share, and modify. Both data sets are available for download at vocab.getty.edu under an Open Data Commons Attribution License (ODC BY 1.0). The Getty Thesaurus of Geographic Names is a resource of over 2,000,000 names of current and historical places, including cities, archaeological sites, nations, and physical features. It focuses mainly on places relevant to art, architecture, archaeology, art conservation, and related fields. TGN is powerful for humanities research because of its linkages to the three other Getty vocabularies—the Union List of Artist Names, the Art & Architecture Thesaurus, and the Cultural Objects Name Authority. Together the vocabularies provide a suite of research resources covering a vast range of places, makers, objects, and artistic concepts. The work of three decades, the Getty vocabularies are living resources that continue to grow and improve. Because they serve as standard references for cataloguing, the Getty vocabularies are also the conduits through which data published by museums, archives, libraries, and other cultural institutions can find and connect to each other. When data is linked and open, it is structured and published in ways that allow it to be recombined with data from other sources to create new knowledge. In other words, Linked Open Data connects information from diverse publishers and areas of scholarship, enabling the dramatic expansion and acceleration of research. When the vast trove of data in the Getty vocabularies is released into the Linked Open Data ecosystem, researchers will not only be able to retrieve more complete data, but hone it to their precise requests. In short, they can ask, and answer, ever more complex queries. What artists were working in Venice in the 1520s? When, where, and under whose patronage were Buddhist temples built in India? What museums or libraries currently own folios from a disassembled 14th-century medieval Psalter? What was the iconography of the illuminations in this Psalter? Today these questions are time-consuming and difficult to answer. In the world of Linked Open Data, they could be just a few clicks away. 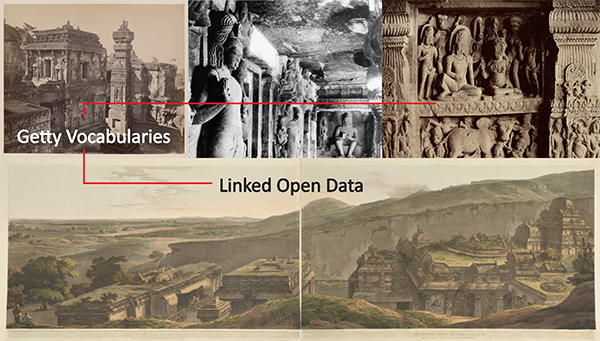 To show how Linked Open Data from TGN can enhance research, let’s take the single example of Ellora Caves in Maharashtra, India, a UNESCO World Heritage Site famed for its astonishing rock-cut architecture. TGN contains not only the caves’ location but also their geographical hierarchy, variant names in multiple languages, and the religious traditions represented there. Now imagine that this data is linked to other data—such as maps, books and articles, and photographs depicting this location. A vast trove of interrelated resources, currently only findable individually through manual search using variant spellings, becomes click away. Within the Getty alone, in a future Linked Open Data world multiple resources could be interlinked: a digitized volume from the early 1800s from the special collections of the Getty Research Institute; art historically significant early photographs of the site by English, French, and Indian photographers in the collection of the Getty Museum; and multiple publications from the Getty Conservation Institute including an update on conservation efforts. All four Getty vocabularies will be released as Linked Open Data by late 2015. To follow the progress of the project at the Getty Research Institute, see our Linked Open Data page. We’re grateful to members of the digital humanities community who have taken the time to make suggestions or to let us know how they are making use of Art & Architecture Thesaurus data released in February. We welcome the continued comments and input of the user community; if you have a suggestion or find the Getty’s Linked Open Data useful in your own work, please share it here or email the Getty’s Linked Open Data team at vocabLOD@getty.edu. Luristan Bronzes in Birmingham Museum and Art Gallery (PDF document). The collections of 'Luristan' and other Iranian bronze artefacts. Catalogue of Inscribed Shabtis in Birmingham Museum and Art Gallery (PDF document). The tablets translated in Birmingham Cuneiform Texts - Translations Part 1 (PDF document) were first published in Watson, P.J., Catalogue of Cuneiform Tablets in Birmingham City Museum Volume 1 – Neo-Sumerian Texts from Drehem (Aris & Phillips, Warminster, 1986). The majority of the tablets here come from the Sumerian town of Puzrish-Dagan which was on the modern site of Drehem in southern Iraq. The tablets translated in Birmingham Cuneiform Texts - Translations Part 2 (PDF document) were first published in Watson, P.J., Catalogue of Cuneiform Tablets in Birmingham City Museum Volume 2 – Neo-Sumerian Texts from Umma and Other Sites (Aris & Phillips, Warminster, 1993). The majority of the tablets in Part 2 below came from the Sumerian city of Umma in what is now southern Iraq. At the time the standard practice for editions of such tablets was to publish copies (line drawings), summary contents and indices making them accessible only to those who could read the cuneiform script. Subsequently they were made available online by the Cuneiform Digital Library Initiative where scans of the tablets can be found together with transliterations. However, as neither the original publication nor the cdli site contain translations it has been decided to make these available here. To access those scans relevant to Birmingham Cuneiform Texts Part 1, log on to http://cdli.ucla.edu click on cdli search and then select primary publication “begins with” and enter BCT 1 and click search. To access those scans relevant to Birmingham Cuneiform Texts Part 2 enter BCT 2. Happy 20th Birthday to Egyptology Resources!